I see a lot of excellent underwater photography from the websites and forums that I frequent, all of which deserve plaudits. I recently however came across the work of amateur photographer Lynn Wu, who’s shots just seem to have a little something extra that really makes you gasp and appreciate the beauty that exists beneath the waves. Lynn Wu is a bank teller from Taiwan who has a passion for diving and photography. Her dive locations include the Philippines, Indonesia and Palau, which she visits with her partner and fellow photography enthusiast Jim Chen. 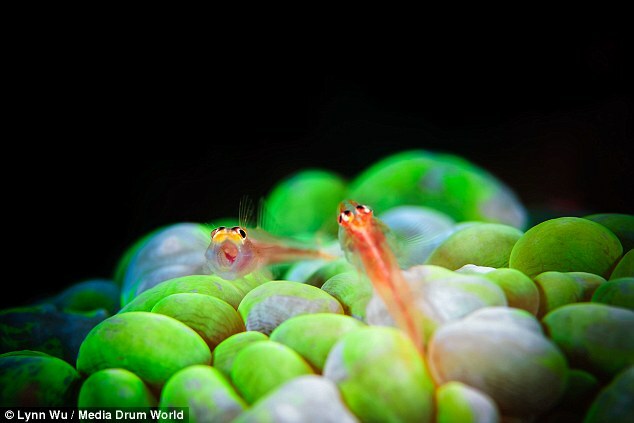 The couple have won over 28 photography awards between them. Above and below are a few of my favourites from their collection. 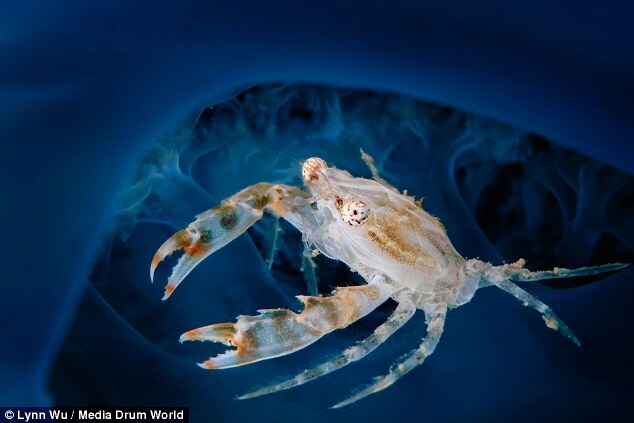 They include a stunning photo of a crab hiding within a jellyfish. 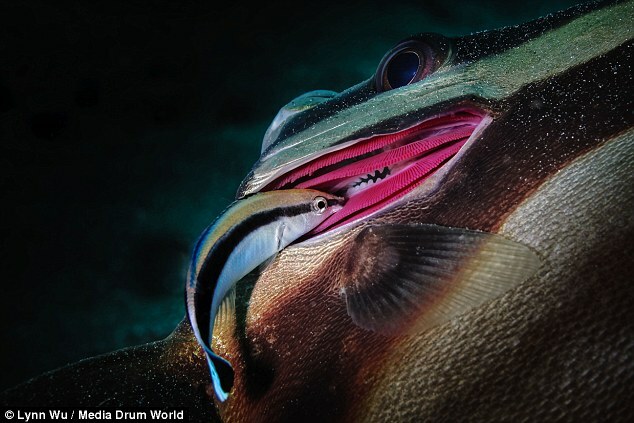 A photo showing a cleaner wrasse tending to a batfish, revealing the beautifully intricate morphology of the gills of the batfish. 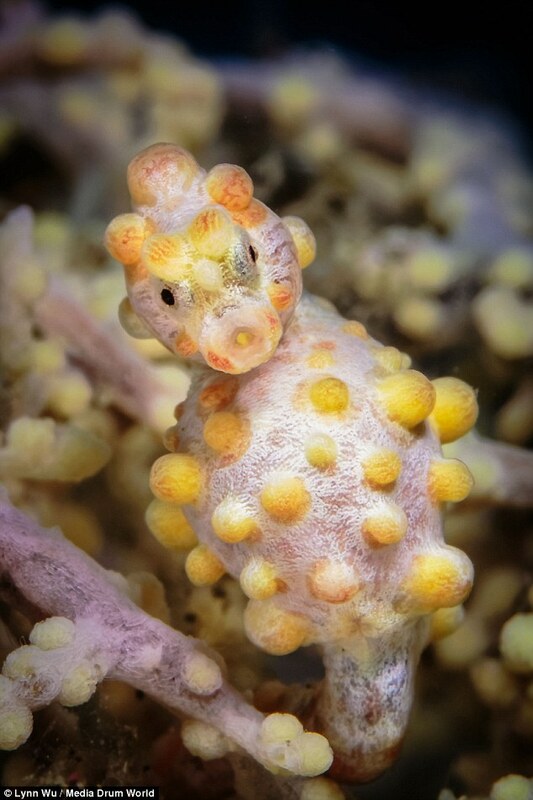 A pygmy seahorse seamlessly camouflaged within its surroundings, and a a pair a dwarf neon gobies hanging out on what seems to be a hammer coral. To view more of their incredible work and check out their portfolios visit them here. ← Update on the pico reef!